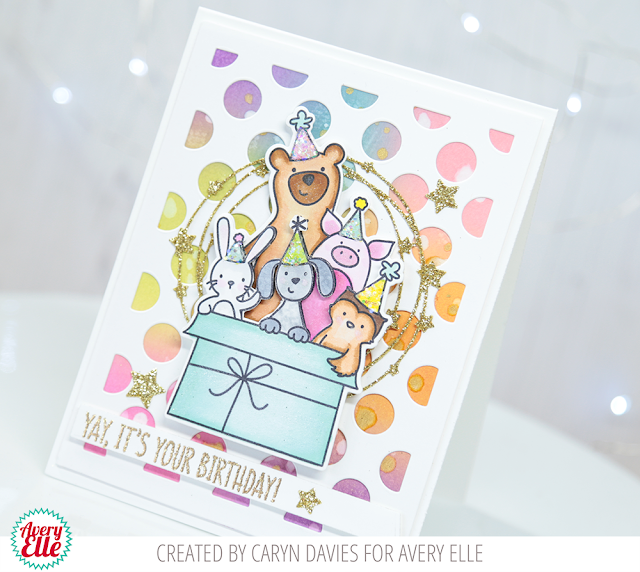 Fabulous colour palette on this sweet scene. 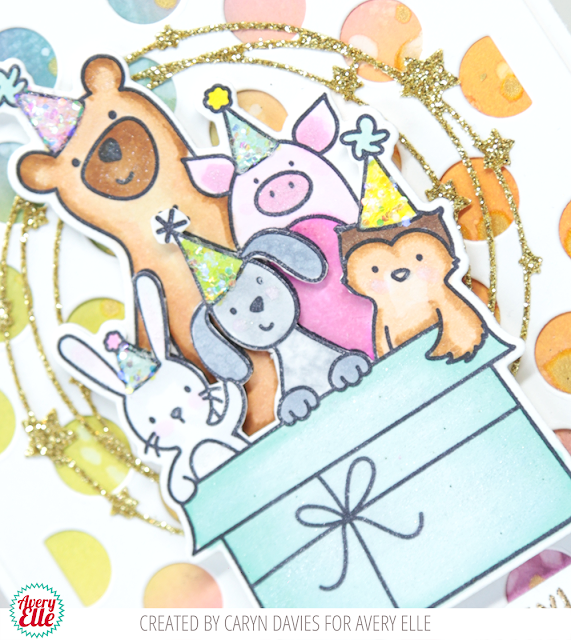 Awesome party animals card! I love the distress ink polka dot background!